WIN Television and Network TEN have confirmed a five-year program affiliate deal for regional Australia. WIN stations will carry TEN content from July 1st and the network has reaffirmed its commitment to local news. The deal follows Nine ending a long-standing partnership with WIN and signing with Southern Cross. Last week TEN also announced a deal with Southern Cross for Northern NSW where WIN is not present. WIN Network CEO Andrew Lancaster said, “For both viewers and clients this is an excellent outcome. We believe we are now partnering with a television network that is delivering innovative programming and increasing audience share. This can only be good for our advertisers. “We are excited to be bringing most of Australia’s Logie winning programs to regional Australia exclusively in HD. WIN will now give viewers Gogglebox Australia, The Project, KFC Big Bash League, The Living Room and Family Feud along with international hits like Madam Secretary, NCIS and Modern Family. “In addition to the aforementioned programs, we are going to deliver the V8 supercars, rugby internationals, Formula One, MasterChef Australia, Offspring and Australian versions of Survivor, The Bachelor and The Bachelorette to WIN viewers. As yet there is no fine detail on how WIN News bulletins will sit amongst TEN’s schedule which includes TEN Eyewitness News, Family Feud and The Project. “There has been so much written about the future of news, both in regional and metropolitan areas. WIN’s commitment to news is stronger than ever. WIN produces 16 half hour news bulletins and an hour-long All Australia News bulletin each weeknight. No other network matches that. Combined with the talent, experience and resources in the TEN newsrooms across Australia, viewers will see comprehensive news coverage at local, state, national and international level,” Lancaster said. TEN Chief Executive Officer, Paul Anderson, said: “We are delighted to announce our new agreement with WIN and that our unique and fresh content will reach more Australians through the WIN regional network. “WIN’s strength in regional Australia, particularly its unmatched commitment to local regional news, combined with TEN’s growing audience will deliver a great experience for both viewers and advertisers. “Ongoing collaboration between us will continue to strengthen our services and we look forward to a strong partnership for years to come,” he said. Viewers will not need to rescan their television to access new programming. So, I’m confused. This switch only affects NSW, Victoria and QLD right? Nothing swaps or changes in SA or Tasmania? Is that correct or am I wrong because I’m hearing conflicting information about what’s going to happen come July. Despite living in a country town, it’s times like this I count my blessings that I am on the metro TV channels and not the regional ones. The next town over is regional, I am lucky not to have all the farming ads. I would rather have those than the screaming retail ads. I don’t understand any of it, it’s all way over my humble head. Guess i’ll just stay glued to the EPG to try and work out what’s going on. “Unofficial” news from inside the Wollongong bunker is that, yes, 5pm TEN News, 6pm WIN News, 6:30 The Project. Family Feud will still be on two channels, One & 11. Several options for All Australian News, not yet firmed up. Or in regional areas, still 50 & 55. No, no, no. On 82 and 83, replacing GEM and GO! on WIN. Mildura is another location that this effects I believe. TEN here is a consortium between Prime/WIN/Mildura Digital Television. Wonder how all this is going to pan out here. We haven’t had TEN start broadcasting in HD on the main channel. WINHD is very good. Very confusing. Wherever you now see Nine programs, on WIN, you will see TEN programs, on WIN. Wherever you now see TEN programs you will see Nine programs. Except North Coast NSW because Nine owns the Nine “affiliate”there, NBN Newcastle, and WIN has no services north of Sydney and south of Brisbane. Nothing will change in that region. And the EPGs will reveal all. Poor old Prime. No one wants that sandwich. As has been mentioned many many times… this only effects WIN and Ten in NSW Qld and Vic… everywhere else stays the same… i haven’t seen it written anywhere that it affects other states and territory…. have i missed something David?? Not true. Other states with WIN. I wonder when WIN TEN and Southern Cross Nine will elaborate on their new July 1 arrangements. Hopefully not June 30th. I was contemplating a straight swap of programs but this doesn’t answer where “Family Feud” will be considering WIN plans to keep its local news. FF is on three channels… at worst, local news could knock out one of those. What’s to elaborate on? Considering Family Feud is on three channels at the same time, WIN News at 6pm on WIN still leaves Family Feud on One and 11, on WIN in place of GEM and GO! from 1 July. Where I am WIN transmission is weak at best, non-watchable at worst. I have always enjoyed Ten shows over Nine so it has never been an issue, but now I will have to watch most shows on catch-up. Which again, with 9jumpin is a PITA, as it is by far the worst (IMO) catch-up service. It’s only the programs being broadcast by the regional affiliates which are swapping. So, if you prefer Ten’s content over Nine’s, you will still be able to watch that on Ten’s catchup rather than Nine’s. Is it WIN transmission or your reception? An upgrade of antenna, cabling, wall plugs? Just saying because we had same issue with TEN Illawarra. Replacing the old corroded UHF antenna with a new one fixed it. Will anything change in Newcastle? I am in regional WA. If WIN will carry 10 programming, what programming will the current TEN carry?? Is it as simple as 9 and 10 swapping content in the bush and will this also include all multi channels?? Spent some time looking through Media Releases and yes WA will get Ten Programming under WIN. But the thing is what to do for 9 Programming. So I don’t really understand this!! Does that mean if you are in Tasmania which gets WIN and Ten then we won’t be getting any Channel 9 programming? But we will be getting duplicated Channel 10 programmes i.e. on WIN and Ten? Nine programming is moving to Southern Cross-owned networks. Okay, thanks for that but I thought Southern Cross was affiliated with Channel 7!! We get our Channel 7 programmes here in Tasmania on Southern Cross!! I really wish there would just be the main channels and none of this regional WIN and Southern Cross stuff!! Just glad I mainly watch Netflix and Stan now!! Ten in Tasmania which is a joint venture between WIN and Southern Cross will rebrand as Nine most likely. From what I’ve worked out, Sthn Cross here wont change, will stay as the 7 affiliate. 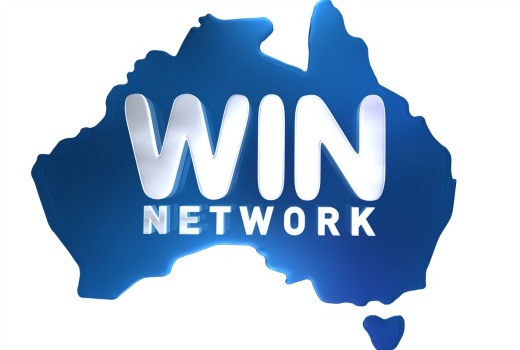 WIN will move from 9 to 10, leaving the joint venture (Tas Digital TV) to become the 9 affiliate. The Sthn Cross deal here is separate to the Seven West Media/Sth Cross Media deal. I haven’t been advised of any changes regarding Seven content if that helps. I guess they’ll fill us in, market by market, around the middle of June. Well hopefully! So Southern Cross here in TAS will have to choose which shows to show us from 7 and 9? Can’t speak on behalf of Southern Cross. They are taking Nine content. I read somewhere recently that Southern Cross Tas have a separate deal with Seven West Media. So I’m wondering where Southern Cross will place ‘A Current Affair’? If Jason’s “unofficial” news is correct, it can’t be between 5.00 and 7.30 pm on the main channel. Maybe it will go to ONE (50) or ELEVEN (55) ?? A Current Affair is a Nine program so it will be on Southern Cross at 7pm. It won’t be on One or 11 (50 & 55) as those channels will now be showing GEM and Go!, that is, Nine programs on Southern Cross. A Current Affair will not be on any WIN channels. Grrrrr!! Noooo!!!! Nothing duplicated, nothing lost. In WA we don’t have Southern Cross, we too get ch 10 or 9? What happens to Win in other states like Tasmania?Is is still affiliated with 9 or does it switch over to 10?I’m confused. It will be switching to TEN. Is that fact David? or are you speculating? This announcement said Tas WIN would become Ten. Speculating, Id say that the 50/50 Sth Cross/WIN owned TDT would become the home of Nine’s programming in Tasmania. Also means we would have Ten programming in HD as opposed to the current Nine programming. Guess we will be told closer to the date. I hope WIN has 10 News at 5pm-6pm, Win News at 6pm, The Project 6.30- 7.30 pm. The only problem is finding a spot for Family Feud. But good on them for keeping Local News. WIN will enhance TEN as it is a strong regional brand and more community minded, which matters a lot in the country areas. Nine threw that away for the cheap $$$. Southern Cross has no community presence in the Illawarra. The highlight of TEN viewing via SCTEN is their so-called “News Update”, with no videos, placing family bets on which edition of the Illawarra Mercury each sentence-long story was taken from. Yesterday? last Thursday? or ABC Illawarra 48 hours ago. Senate committees recently took a dim view of rip n read style. If WIN News was to go at 6pm on the main channel, I suspect that the FF would be One and 11 only. About time Ten moved back onto one channel anyway or at least free up One or Eleven. As I mentioned a while ago it’s the most likely outcome, and they have encouraged it on multichannels anyway, so WIN would be following their lead. They will be. And in Vic. They’re already looking for them in northern Qld. See Seven News Gold Coast story posted today. Will be interesting to see the affect this has on the WIN monopolies (M.I.A. and S.E. South Australia). Although viewers would like to see WIN launch an additional HD channel for TEN, I think it will be more likely that WIN HD will just change from being a simulcast of Nine to being a simulcast of TEN, basically scrapping Nine HD in these two areas. Well I assume that would be the cheapest option, and lets face it, WIN don’t spend anymore on local services than they need to. So let me understand this as at 1st July the now channels of 5, 50, 54 and 55 will be WINs new home? Presumably the adverts will be theirs instead of SCA, is this correct? Hopefully we will finally see Ten in HD. No, 8, 80 etc. will be TEN program’s new homes. WIN is not changing channels. Programs are changing channels. Yes, WIN HD will be WIN TEN HD. Only the programs change. Commercials and channels remain whatever they are locally now. Ok thought it would go that way. Wonder what Mr Lancaster really thinks…? Reminds me of that quote by Kerry Packer – WIN is being forced to eat a sh*t sandwich and pretend it is yummy. Except Southern Cross already ate 50% of it.